It is aimed at teaching you the basics of configuring ADFS and Single Sign On with Office 365.
with each lesson containing a video, downloadable lesson notes and some external resources. This course has also been included in the Getting Started with Office 365 Administration course that now covers 9 areas and aims to provide a comprehensive introduction to managing all aspects of Office 365. I appreciate those who have supported me by already signing up for my online courses. The more support I get, the more courses I can develop. if you have any suggestions or ideas for online courses that you’d like to see me do please contact me, I’d love to hear from you. 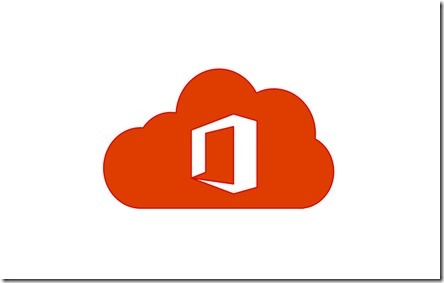 In this episode I’m joined by Amy Babinchak to chat about Azure for SMB. 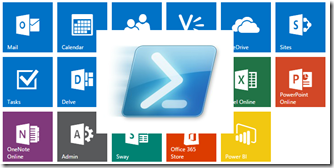 We talk about the opportunities Azure provides as well as how to get started using Azure. Amy shares her experience with converting Azure services into revenue opportunities you can utilise with your clients. There is the usual news updates to keep you current with everything that is happening in the cloud. A big thank you to Marc Kean for all his work producing this episode. 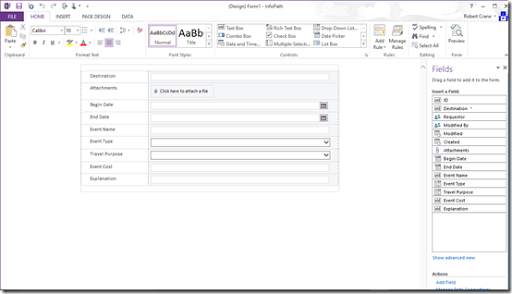 In a recent post I showed you how you could access InfoPath with Office 2013. Even though Microsoft has deprecated InfoPath 2013 it is still supported for quite a while and is a quick and easy way to start customising the look and feel of SharePoint, especially forms. When you enter information into a standard SharePoint list you get the standard ‘look and feel’ as you see above. You can modify this ‘look and feel’ using InfoPath. To do this select the List tab at the top of the page. Then in the Customize list section to the right, select the Customize in InfoPath button. You should now see InfoPath launch on the desktop (you’ll obviously need it installed on the local desktop prior). 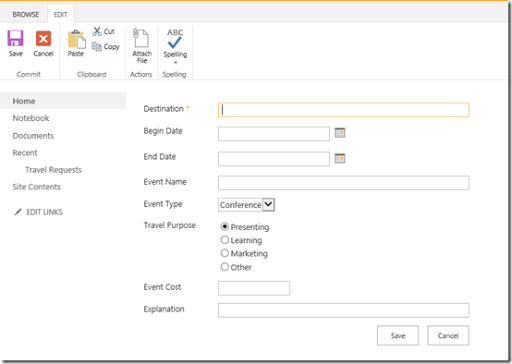 In the middle of the page you will see a form like the one you saw when in SharePoint but in a different layout, font, style, etc. Don’t make to changes to anything but simply select the Quick Publish button on the quick launch toolbar in the top left. It is the third button from the left as shown above. You can also select File | Quick Publish if the quick start button is unavailable. After a few moments you should receive a message that the form was successfully published as shown above. If you now return to SharePoint and edit or create a new item you will see that that the form displayed has changed to match that from InfoPath as shown above. InfoPath has in effect has created new display, edit and create forms for this list in SharePoint. The idea now will be to start customising these forms further using InfoPath and then ‘publishing’ them back to the SharePoint site. However, that will be the subject of upcoming posts. 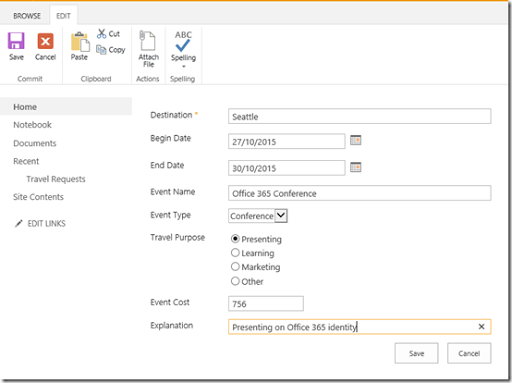 Now what happens if you want to revert back to the original SharePoint forms and remove the InfoPath ones? To do this, select the Sites tab and then the List Settings button from the ribbon. Then select Form settings at the bottom of the first column on the left which has the heading General Settings. 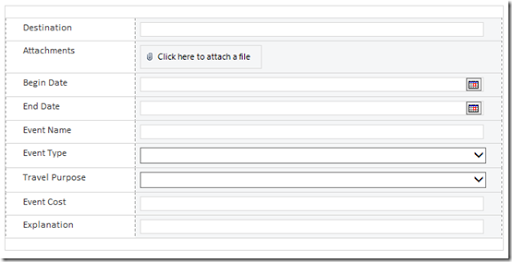 Select the option to Use the default SharePoint form (and optionally to Delete the InfoPath form from the server). Now when you return to work with the list you should see the default SharePoint form displayed as shown above. With more lessons coming soon. Each lesson includes a short video tutorial as well as downloadable lesson notes. Each lesson also includes a number for questions to test your knowledge and understanding on the topic. To celebrate the launch of this new course I have a number of discount coupon codes that will provide a discount of 10% off the normal price of this complete course. I only have a limited number of these coupons so please contact me via email (director@ciaops.com) to receive yours. I expect these coupons to go fast so if you are reading this after November 2015, I’d suggest there won’t be any left. So hurry. Where you will find each individual course plus aggregated courses like Getting Started with Office 365 Administration. Keep you eyes peeled for more courses launching soon. Each lesson contains a short video tutorial, downloadable course notes and a quiz to test your knowledge. You can also ask questions and provide feedback to gain even more knowledge. Got a suggestion for a course you’d like to see me do? Then don;t be shy, let me know either via Twitter (@directorcia) or email (director@ciaops.com). You can go, sign up and take the the course immediately. It is based on my original eBook from a while back but has been updated with the latest information. I am aiming to improve and extend the course over time, so please let me know what you’d like to see n future updates to the content. So take a look at what’s there already and keep an eye there for new material coming REAL soon! InfoPath is a Microsoft Office desktop application that you can use to create intelligent forms. 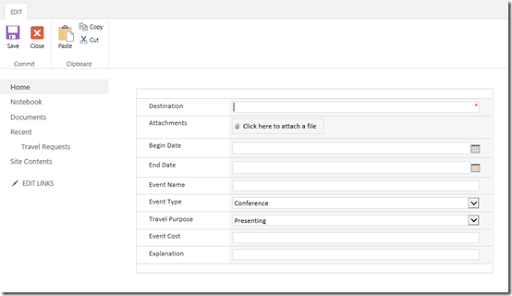 These forms can then be published to SharePoint Online. 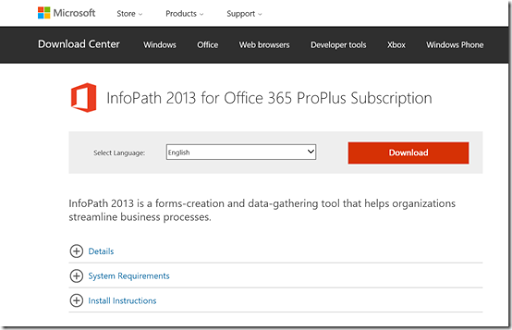 The InfoPath application is part of the Office Pro Plus subscription in Office 365. This means it is typically available for those with the E3 suite. The problem is that Microsoft has announced that it will no longer be continuing to develop InfoPath and thus it will remain at the current 2013 version. However, the Office desktop software has now progressed to 2016. 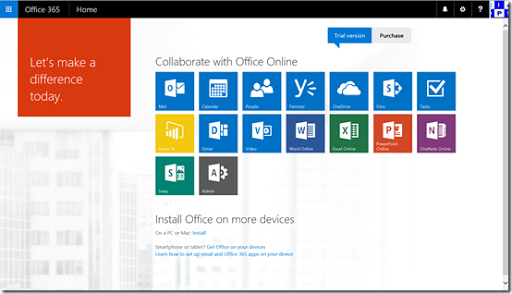 Thus, if you download and install Office 2016 from Office 365 as part of your subscription you no longer get InfoPath 2013 installed. You can however still download InfoPath 2013 as stand alone product if you have an Office Pro Plus subscription. Here’s the process you need to follow to do this. 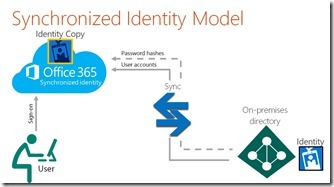 First, login to your Office 365 web portal. Select the COG in the top right hand corner of the window. This will reveal a menu as shown above. 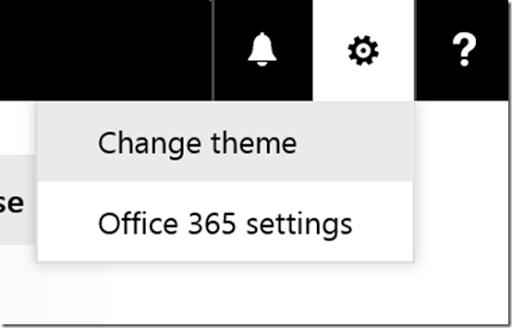 From this menu select Office 365 settings. In the middle of the page select the hyperlink Install and manage software under the Software heading. From the menu on the left select Tools and add ins. In the middle of the page that appears now you should see a hyperlink to download and install under the InfoPath heading. Where you can download the InfoPath 2013 software and install on your desktop. 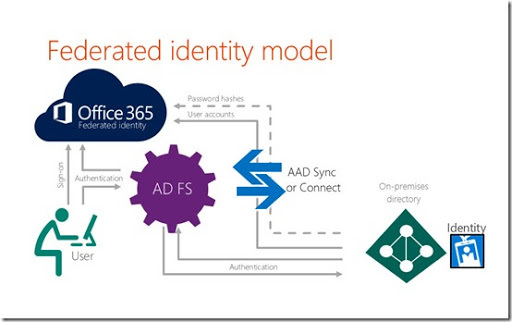 When you run the software you will be required to activate it using your Office 365 credentials. 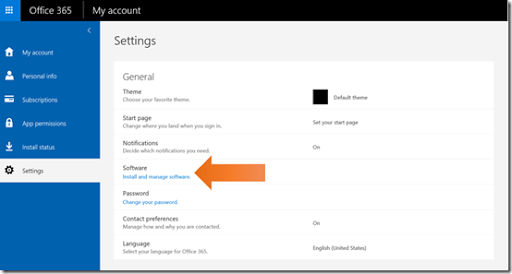 Note, unless you have a valid Office Pro Plus license from Office 365 you will not be able to activate and use InfoPath. Once you have downloaded, installed and activated InfoPath 2013 you can start using to customise SharePoint, which I’ll cover in upcoming blog posts. This is the fourth in a five part series of articles about improving your business. It is aimed at those people who run a small business but could just as well apply to anyone earning an income. In the article I’ll focus on one or two main points around the theme but remember there is a lot more to explored in each topic. 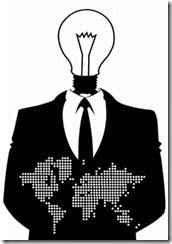 If you haven’t done so already, I encourage you to read the other parts in this series – Reason, Revenue and Resources – to give you a better context of my thought process. Also don’t forget that this is only part 4 of 5 in series and I’d encourage you to read them all and then let me know what you think. The world in which we live is an uncertain place. Although much may seem routine and safe, there is always risk lurking in the background. The smart business operator knows they can’t eliminate risk, all they can do is minimise it. Minimising risk is a discipline that needs to be worked at constantly. It is achieved through implementing things such as standard processes and procedures as well as reviewing and adjusting these on a regular basis. One of the largest risks that many small businesses face is cashflow, which for many is all about being paid in a timely manner. It is therefore important to establish credit terms up front with customers and ensure they are aware of when payment for goods and services are due. If you provide good products and services you should never be afraid to ask for the value that they provide. Even though credit terms have been made clear up front there are times when payments fall outside these. Most smaller businesses lack a formal collection process to ensure they get paid. With todays technology it is relatively easy to implement an automated email reminder sequence that prompts the customer that payment is due. The benefits of systems are they can be built once and implemented many times. If payments are still not forthcoming beyond these reminders few have processes to handle this. Why not? Another risk in the technology game is falling behind with industry change. The solution here is to allocate an amount of time to staying current and actually use the latest technology. It should also be the discovery of quality information sources that can provide the best information in the shortest amount of time. Again, the solution to minimising such risk is to create and implement a system. Over time there is little doubt that the system will need to be ‘tweaked’ and improved but this is far easier once it has been established. The secret with risk then is to ‘be prepared’ as best you can. Some things will certainly come out of the blue, but the more prepared you and your business are the more likely it is that any negative impact will be well and truly minimised. You can of course never know where, when or how events will unfold and this means that being prepared is a constant practice that needs to become simply a matter of the way that you run your business every day. You need to view the reduction of risk as important and your sales, marketing, accounts, etc. If you run a businesses that employs others it is also important that you imbue this attitude throughout the business. Doing so not only makes it a physically safer place to work but also make it far less stressful, resulting in a more appealing and attractive place to work. Risk is all around us. We can either take control of risk or we can leave it to random chance. The smart business owner understands that risk is part of their business and seeks to control it as much as possible. They achieve this through systematic processes and culture that seeks to address and minimise risk no matter where it appears. Risk is an opportunity for you to improve your business every day, those that step up to this opportunity always benefit, those that don’t are simply rolling the dice in the hope that they will never have to face the consequences. Successful business is not a gamble, it is a systematic approach to achieving the goals you have set.